You can find a selection of pictures and some numbers of the event at this link! This event, a collaboration between IAPS and the Italian Association of Physics Students (AISF), was an overwhelming success: as organisers, we can say that everything went very smoothly; as participants, we are happy to say that it was a unique experience, extremely educational and fascinating. Both our visits in Frascati (near Rome) and close to the Gran Sasso Mountain were extremely successful, with many talks given by researchers about superconductivity, laser physics, magnetic confinement fusion, neutrinos, beta-beta decays and dark matter. You can find some pictures and short descriptions of the programme at this link. The organising committee, composed of Francesco Sciortino and Deividas Sabonis, would like to take the opportunity to thank the IAPS and AISF collaborators, in particular Matthias Zimmermann, Andreea Monteanu, Leon Jurčić and Lucio Maria Milanese. Many thanks also to Dr. Pace (ENEA Frascati) for so kindly welcoming us, and to Prof. Testa, ENEA President, for his financial support. Our warmest thanks go to the Gran Sasso researchers, who showed the best of their world-class research and a clear interest in sharing their passion with students: Stefano Ragazzi, Eugenio Coccia, Massimo Mannarelli, Alba Formicola, Fausto Chiarizia, Natalia Di Marco, Roberto Aloisio, Matteo Lorenzini, Giulia Pagliaroli, Matthias Junker and all our tour visits and speakers. The organisers of SNEF, the Peruvian national conference of physics students, have kindly offered IAPS a few free places for members who wish to present their work and take part in a physics students’ conference in South America. The conference will involve about 300 students with both guest and student lectures, posters, social activities and a tour of the local area. Lectures and posters can be presented in either English or Spanish. Translators will be available. Please see the SNEF website for more information. Places will be allocated on a first come, first served basis, after which we’ll keep a waiting list in case anyone drops out. You will need to pay your own transport costs. Places are very limited, so if you are interested in attending please sign up as soon as possible. When planning your travel, bear in mind that SNEF takes place the week after ICPS. please prepare for it. It is usually enjoyed by all. opportunity to gain experience before a friendly audience. more info look on our website: www.icps.agh.edu.pl. 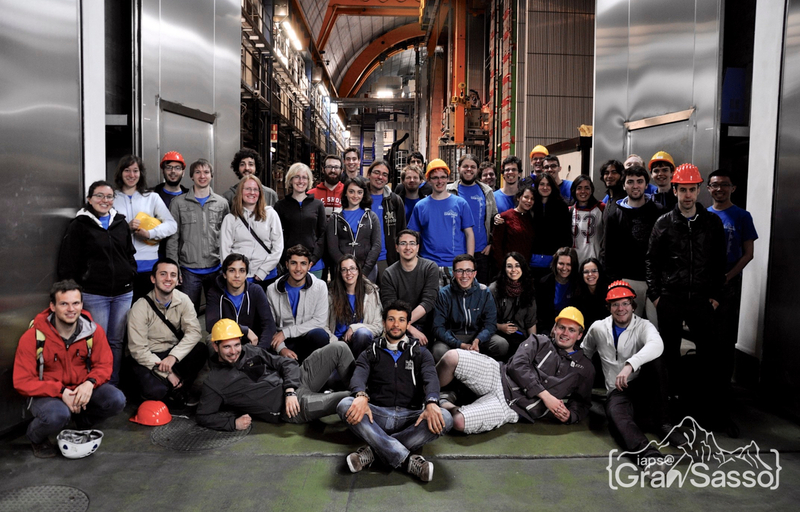 The IAPS/MAFIHE summer school on nanophysics took place in Gyenesdiás from 7th-14th July. 30 students attended. Lectures were given in English by well known Hungarian scientists, coming from the universities in Hungary and the Central Research Institute of Physics. Participants had the opportunity to visit the city and Festetics mansion of Keszthely, go hiking in the mountains around, relax on the beach and visit the world famous thermal lake Héviz. Photographs are available here, it seems a good time was had by all. The webpage and poster for the summer school contain more information. IAPS’ LC Kyiv, the Association of Physics Students of Kyiv National University (APSKNU), invited IAPS members to register for the VIII International Young Scientists’ Conference on Applied Physics. The conference has been held annually in June since the year 2000 and is aimed at physics students and young scientists. The conference was held from 11th-13th June. APSKNU includes the Young Scientists’ Association of RadioPhysics as well as students from the local Physics Department. The website for the conference was here. The IAPS trip to ESTEC was based in Amsterdam, the Netherlands. The main attraction of this trip was a tour of ESTEC, the European Space Research and Technology Centre , located in Noordwijk. Participants saw a range of facilities and viewed the Herschel and GOCE spacecraft, both due to launch later in 2008. The event also included a visit to the Netherlands Organisation for Applied Scientific Research (TNO) in Delft, the Windmill Museum and Planetarium. Members can download a TNO general introduction, careers presentation, optics lecture and space science lecture (focusing on dust storms on Mars), a copy of the report for EPS, who sponsored the trip, and the IAPS presentation given by Agnieszka Leyko in either odp or ppt format. Pictures from the whole trip, and a few from the following Queen’s Day celebrations, can be seen here. In addition, pictures taken by TNO staff are here. Trip particpants can view and contribute to the gallery on Li’s website. The XXII International Conference of Physics Students was held in London, UK, based at University College London. Highlights included five guest lectures, 69 student lectures, many student posters and a choice of 9 scientific excursions. The social and cultural programme included the usual city tour, national and costume parties, plus a drinks reception, céilidh, karaoke night, barbecue, lark in the park and more. 360 students from over 30 countries attended. The handbook can be downloaded here, and members can log in to view the reports here and here. Job van der Zwan and Marten Veldthuis have a gallery of photos, and there is a facebook group and flickr group.